The waiting is over! Russia 2018 is finally upon us, so buckle in for a month of pure football fever. It may not exactly be the stuff of fantasy football, but it all kicks off with Russia vs Saudi Arabia today, and before that the opening ceremony – and we can tell you the best way to live stream the whole thing for free wherever you are. As far as curtain raisers go, it's unlikely to be a classic. In fact, these are probably two of the worst teams in the tournament by the judgement of many pundits. But if you've been waiting patiently for the start of the 2018 FIFA World Cup, you probably don't even care. You just want football. All the football. Before we get to the game, there's the glitz. The opening ceremony will immediately precede Russia vs Saudia Arabia, where such confirmed treats include performances by Robbie Williams(!) and celebrated and Russian soprano Aida Garifullina. It's due to start at around 4.30pm local time or 2.30pm BST. 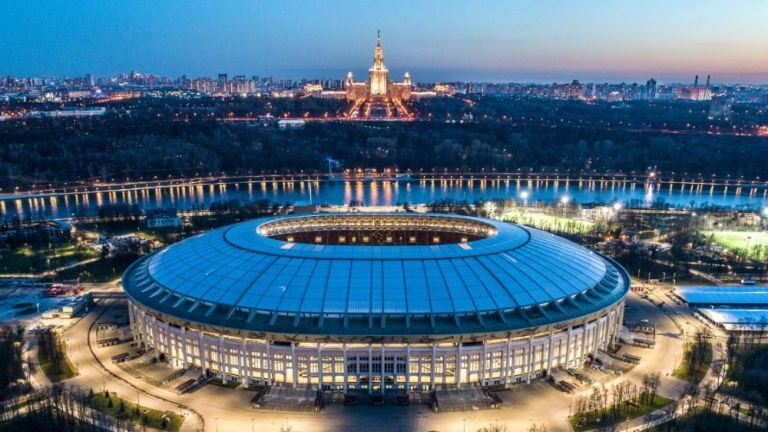 Even if you're somewhere that doesn't have free World Cup coverage, or you just want to get a UK broadcast, then stick with us as we'll tell you the best way to live stream Russia vs Saudi Arabia and the opening ceremony from absolutely anywhere. ITV is your destination for watching the first of the World Cup 2018 action in the UK. It's evenly sharing the matches with the BBC, but has managed to get in there first for this tournament. ITV's World Cup live stream starts at 2.30pm BST and will be across its TV channel, website and ITV Hub apps for tablet and smartphone. Alternatively, and especially if you're wanting to watch via an online live stream, we'd recommend going for TVPlayer.com. It provides a really fast, stable stream and the ability to channel hop at will. If you're ever unsure of whether ITV or BBC has the game, then just head straight to TVPlayer.com. Once it's been downloaded and installed, open the app and select a UK server location (it's super easy) and then head over to TVPlayer.com from 2.30pm BST / 9.30am ET / 6.30am PT / 11.30pm AEST in time for the opening ceremony. What's the host World Cup broadcaster where I live? FIFA has put together a very handy list of which broadcasters are showing the World Cup in countries around the world. You can head here to see the document. ITV and BBC have divided up the matches equally in the UK, while cable channels Fox and CTV are showing it in the US and Canada respectively. If your country of residence isn't included in the list, or if you discover that you have to live stream the World Cup 2018 via a paid-for subscription service, you could always consider going down the VPN path instead. Amazon Prime Day 2019: when is it and what deals can you expect?